I'm a "stuff" collector. Yeap, I collect everything and anything that I like. That includes wrapping papers. I got a whole heap of them and I just chuck it at the corner of my room. Slowly it became crumple and doesn't look nice at all. Good! 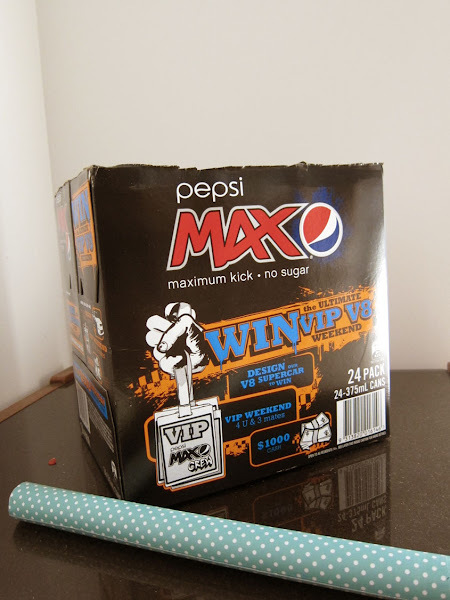 Now I can use the vintage looking PVC self adhesive film that I bought from Bunnings months ago on this Pepsi Box! It only took me a few minutes to do it. 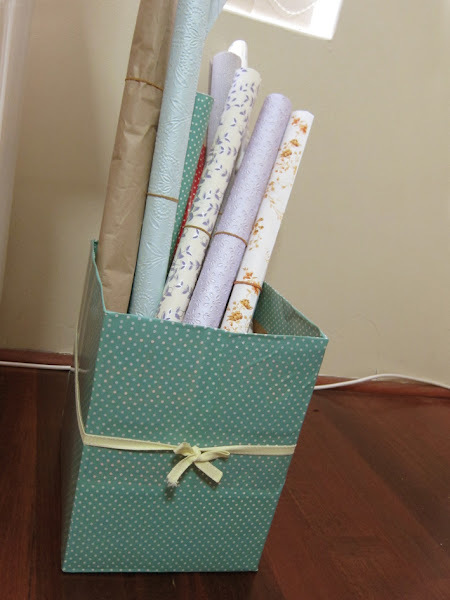 The PVC self adhesive is so easy to use! 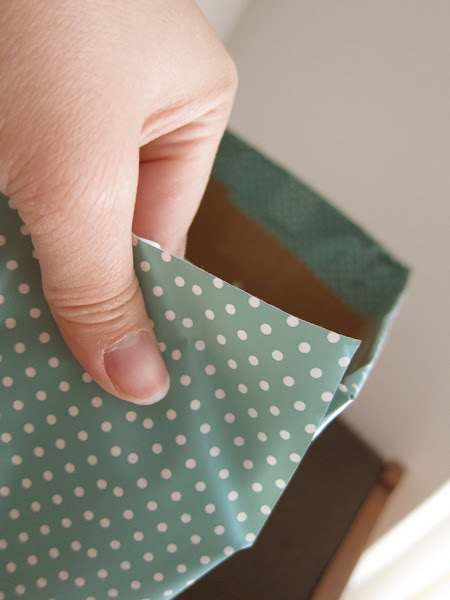 Easily peel off too when you need a quick adjustment while sticking it. 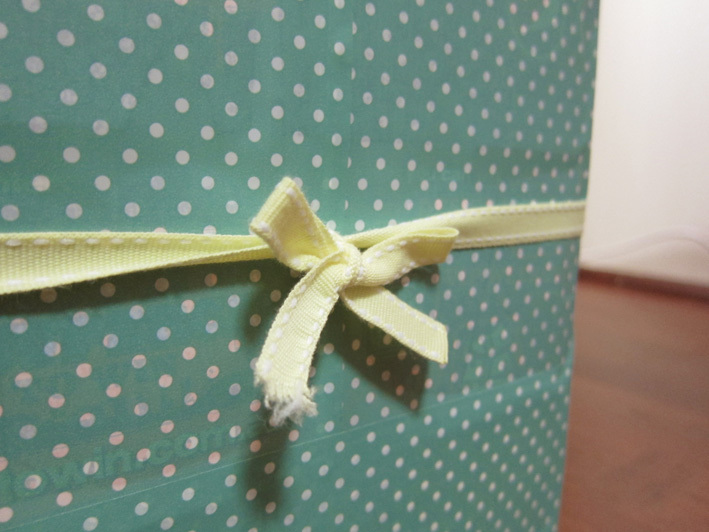 Added a yellow ribbon to prettify it! Good on ya! recycle reuse ..reduce?